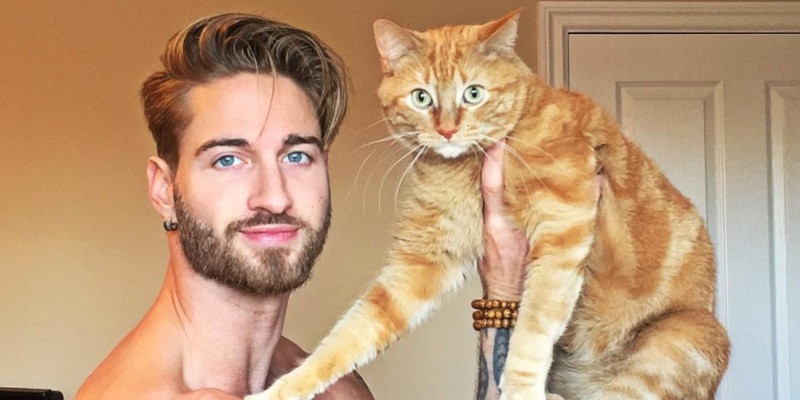 This gorgeous model/vlogger appears to suffer from a severe allergy to shirts, because he never wears one. 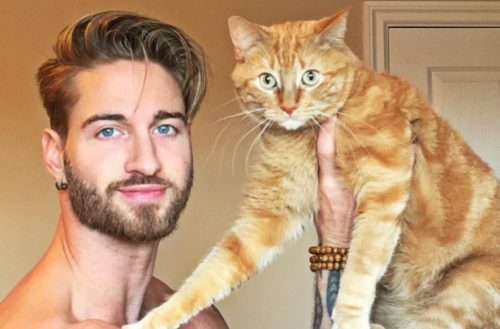 Fortunately, he’s not allergic to kitties, because this hot guy and his cat have a bromance for the ages. Cats: they’re not just for pathetic spinsters anymore! Now they’re for hot shirtless guys too. Finally.